Sometimes I worry that Driventowrite is nothing but a collection of Lancia, Citroen and Opel musings strung together with bits of Ford Granada in between. In order to make a token effort to acknowledge the wider world I went in active search of the news the manufacturers themselves put out. At Toyota, the most exciting thing I found (and it really is exciting because we love Japanese cars here) is that there will soon be news about the Toyota heritage press fleet. They also have an advanced technology seminar on automated driving. I must look at that soon. The last Mitsubishi Galant had a good innings: 2003 to 2012. To be honest, I wasn’t aware of this one until about an hour ago. This example hoved into the gloomy car park of a shopping centre near me. Although barely known in Europe it is one of those world cars with a basket of names and functions. It has had eight badges attached to it and has been propelled by eight engines. It’s the Mitsubishi L300. In Europe the most likely engines for this variant are the 1.6 litre petrol or 2.5 litre diesel engine. For certain markets there is a 4wd version of the vehicle which, I am told has a certain cult following. While it might be culturally, and indeed physically a long way from the rest of South-America, the Falklands are part of the continent. What do they drive? 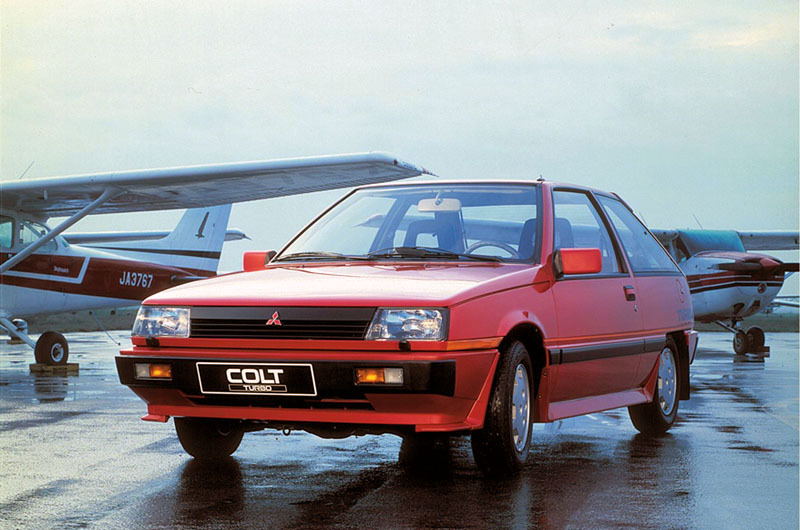 In our final instalment we look at the Carisma’s showroom companions in Mitsubishi’s dealerships. What were they? We spent a lot of effort jawing about the Land Rover Discovery yesterday when perhaps the Mitsubishi Ground Tourer deserved more of our attention. Driventowrite is pleased to present an exclusive examination of the colours used on concept cars at the 2016 Paris Motor show. 2016 Paris Motor show colours for concept cars. You’ll notice green is still missing from the palette. Renault’s yellow was really a pearlescent gold. Honda’s Civic had a stainless-steel character to it. Renault’s Trezor’s surface appeared to be textured with a honey-comb effect. Mitsubishi went for white on the Ground Tourer but a vibrant yellow on the (very similar) EX. Mercedes used black paint for the EQ bonnet which disrupted the graphic effect of the fancy grille decoration. This is a short round-up of items that aren’t worth a whole article: news from Ford, Hyundai and Citroen. If the headline had been a bit shorter this would almost count as a micropost.